The internet loves a tech rumour, almost as much as tech fans like us enjoy reading them. But after they've been reported, obsessed over and the speculated release dates have come and gone, they're all too quickly forgotten. Well not by Wareable. As 2015 draws to a close we've gone back and listed all the wearables that didn't make it into officialdom. Lest we forget. Kicking things off is the non-existent Nokia VR headset, which got us all excited back in July. This rumour wasn't without substance and Nokia did come to market with OZO, a VR camera – yet a way to watch your VR flicks isn't yet part of Nokia's product line-up. You'd feel with its experience in mobile device manufacturing that Nokia could make a splash in the nascent VR market – but there's no sign of any hardware. When it comes to techy watches, a Casio smartwatch seems like a no brainer. And when company president, Kazuhiro Kashio, said, "We are trying to bring our smartwatch to a level of watch perfection," back in July, things seemed pretty nailed on. But as 2015 draws to a close, there's no news on a Casio smartwatch, at any level of perfection, so here's hoping for more in 2016. 2016 prognosis: It's gonna happen. 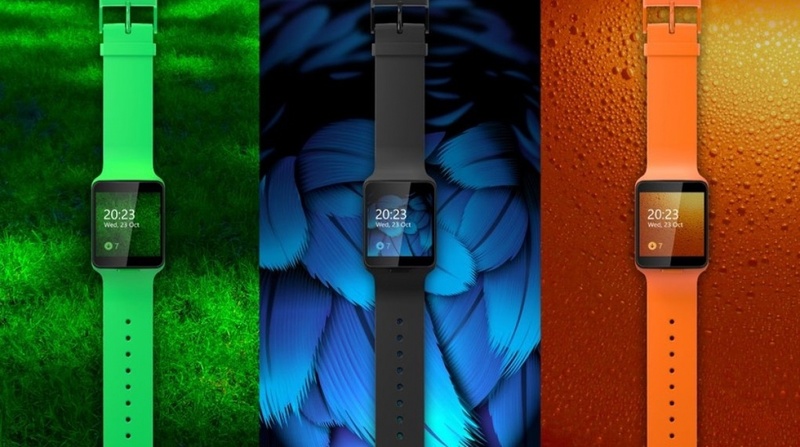 The rumour of a HTC smartwatch has been going on for so long that we emanate a half groan at its very mention. But back in September speculation grew that its release was almost imminent, codenamed 'Halfbeak'. Halfbeak was said to run Android Wear smartwatch and use a 360 x 360 display. It was also destined to appear at a 29 September event, which obviously came and went. Halfbeak's status now? Given that HTC hasn't even managed to come to market with the HTC Grip (pictured) that it's actually announced, we'd hazard to suggest that Halfbeak is halfdead. Another perpetual rumour, the Xiaomi smartwatch Chinese whisper goes around every time the company stages an event. Back in 2014 Hugo Barra fuelled the flames by talking about the possibility of a Xiaomi smartwatch in a Facebook video and the idea is pretty tantalising. Given the company has got the price of biometric fitness trackers down to an absurd $15 with the Mi Band Pulse, how low could it drive the cost of a smartwatch? 2016 prognosis: This one's got legs. OnePlus itself has confirmed the existence of a fitness tracker, and pulled it shortly before its timetabled launch. Why? Carl Pei, the company's co-founder, said: "We asked ourselves, what is the goal? We decided we needed to focus on smartphones, to ensure we're launching quality products and leave the wearables and speakers to the people who know what they're doing." We'd speculate to say that the company realised how crowded the market has become and simply couldn't match Xiaomi's aggressively low pricing. Will it return? Looks unlikely. Back in June we found out that Nokia actually made a Lumia smartwatch called Moonraker, which was killed off by Microsoft when it acquired the Finnish company. The chances of it returning? Forget it. 2016 prognosis: Travel back to September 2013, take out Steve Ballmer and maybe. Swatch has spent the whole year talking up a forthcoming smartwatch and all it managed was a volleyball tracker with an applause meter and dumb watch with an NFC chip. Better luck next year. LG's follow up smartwatch actually went on sale, before it yanked it from the shelves after just a week. Critical technical problems were to blame, and with it went Android Wear's first smartwatch capable of working untethered from a phone. Will it return? You'd expect so, but the whole debacle has been a little embarrassing. Its inclusion is a bit harsh given that we know the Steam VR headset will land in April 2016, but someone has to take HTC to task for continually promising that it would make a Christmas 2015 release date. At the launch in February HTC promised a 2015 release, and it even maintained that Vive would get a limited Christmas release back in August.